Work for python mysql connector? Learning about python mysql connector? Las bibliotecas tienen capacidades geniales Facilidad para el usuario El conector mysql de Python facilita el trabajo con una base de datos mysql a partir de sus scripts de Python. Es fácil de aprender y aplicar y ya no se deleita con ningún obstáculo. Es muy fácil crear una conexión y aplicar. Para leer hechos, o para insertar, editar y borrar datos. Ahora no dejaba de lado algo relacionado con este conector, hasta ahora no tuvimos problemas para usarlo. No es muy escalable desde mi punto de vista. No faltó nada con respecto a este conector, hasta ahora no tuvimos problemas con su uso. Nada en absoluto, no descubrí ningún límite de programas de software. No es muy eficiente. Es una adición de primer nivel a una base de datos de código abierto ya preciosa como MySQL. Permite la integración con uno de los lenguajes de programación más famosos, Python y permite la creación rápida de prototipos y el desarrollo. Es una adición extraordinaria a un db de código abierto ya precioso como MySQL. Mantenga una base de datos y un servidor de información para el acceso público Sin este conector, no habría sido una opción. Habíamos podido migrar programas existentes a python. El código de desarrollo se implementó como un flujo de trabajo en una implementación de Google Cloud. Habíamos sido capaces de migrar programas existentes a python. "A very light but powerful tool to connect MySQL"
I develop with Python sometimes in Windows and connecting to MySQL can be painful. Till I found MySQL connector. It can easily connect MySQL with Python without extra effort to manage. It saved me a lot of time developing web application. I absolutely love it and recommend it. Once installed, you do not have to worry about managing it. It works like a plugin. Every time you want to connect to MySQL, you just simply use the API and it will work flawlessly. Give it a try when you are developing Python application and want to save time figuring out how to connect MySQL. I have not found anything I do not like yet. For developers who had pain connecting MySQL in windows. For Python developer who wants to connect to MySQL, this is the right tool to use. I like that it is open source, it can be modified and adapted to our needs, it has a GPL license, This is for many operating systems, it has a procedure and installation manual in its different versions, it is not heavy in the download, it has two Free and paid versions. It depends on the needs of your company and fully adapts to a python. when it comes to implementing it is a bit tedious if you do not meet the minimum requirements. 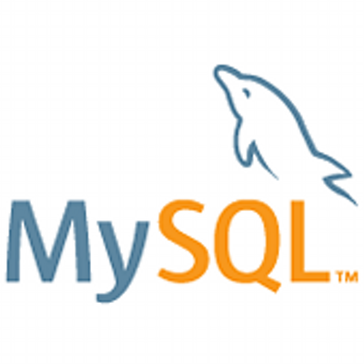 "How to handle mysql databases from your python scripts"
The python mysql connector makes it easy to work with a mysql database from your python scripts. It is very easy to create a connection, and to use it to read data, or to insert, edit and delete data. You can even create tables and fields from your python scripts. Documentation on the website is really helpful, with a lot of details for installation steps and for use at development level. It did not miss anything regarding this connector, we had no problems till now using it. Just try and use it. We were able to migrate existing programs to python. Without this connector it wouldn't have been an option. "Mysql compliant Python Connector with No C Dependencies"
The performance, compliance, and support of the connector. Everything just seems to work with no issues, there's no strange dependencies. The most stable and compliant python connector to mysql DBs. With the increased stability, there has been a significant decrease in on call events for engineers. "Unique driver that connects python and Mysql"
Python mysql connector is a MySql driver that makes our life simple when trying to store data from python to mysql. Best thing about this driver is the simplicity that possess and ability to scale to different areas. I think the performance for this driver needs to be improved much more for this driver to be the best. For any kind of requirement like data scraping, data cleaning if you need the data to be stored , we need this driver for mysql to python connections. Makes integrating MySQL with Python scripts simple. It integrates with multiple IDEs and is relatively easy to learn. I especially appreciate the thoroughness of the documentation- makes picking it up super easy. Since I don't use Python regularly, that was a major plus. There's nothing I can think of. Maybe that it doesn't write code for me? LOL. It's a great little tool. Big time saver. Connecting our MySQL databases to various Python scripts. Python isn't something we use often, but it's perfect for some of our data analysts, and this connector makes that easier. "Excellent connector for implenting python django based solutions"
Not very efficient. Takes up more RAM than otherwise. I Never had any problems using this connector for my scripts in python. It works as expected, good documentation. I Never had any problems using this connector for my scripts in python. It works as expected, good documentation. It isn't always the most intuitive, but thankfully like I said before there is good documentation. being able to use scripts on my sql database. It is faster. Not very scalable in my opinion. If you are dealing with click level data, the system gets very slow. * We monitor all python mysql connector reviews to prevent fraudulent reviews and keep review quality high. We do not post reviews by company employees or direct competitors. Validated reviews require the user to submit a screenshot of the product containing their user ID, in order to verify a user is an actual user of the product. Hi there! Are you looking to implement a solution like python mysql connector?